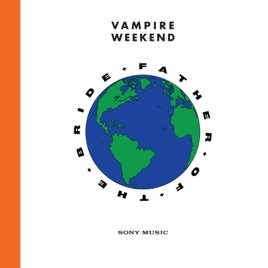 Vampire Weekend's Father of the Bride tops the chart with 194 spins, followed by Weyes Blood, Billie Eilish, Andrew Bird, and Karen O & Danger Mouse. Spinitron Charts are weekly Top 50 disks played at all Spinitron member stations. Click on Artist or Disk links for spin details, such as number of spins, which DJ played it at what station and when. Reuse of Spinitron Charts and content in online text media is permitted under the conditions that it is attributed to Spinitron, that a link to Spinitron is given, that the links from individual chart items to their spin details pages are kept, and that this copyright statement is maintained. For all other uses contact: info@spinitron.com. For more info visit About Spinitron Charts.